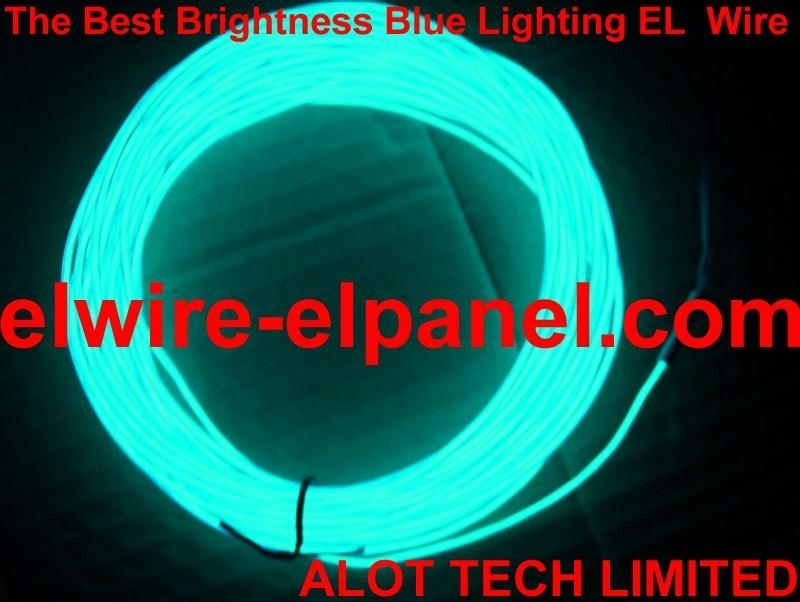 What is electroluminescent wire? 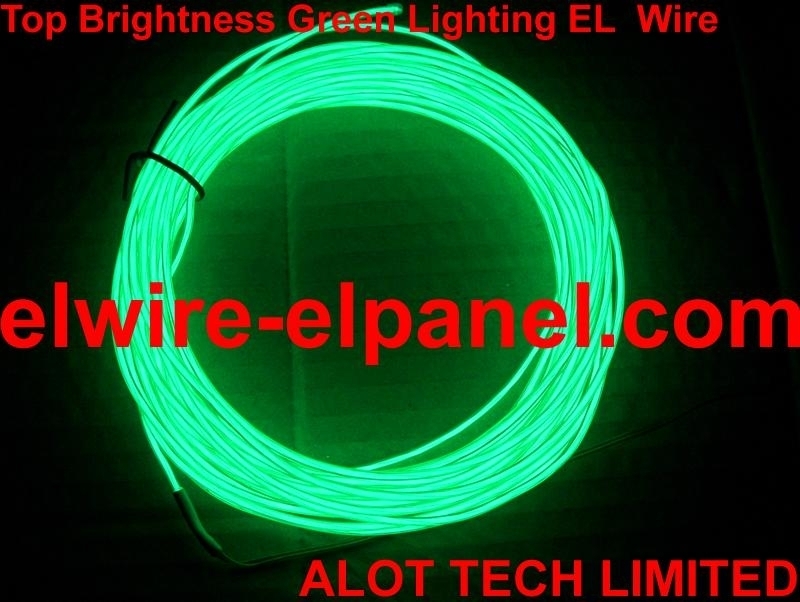 Electroluminescent wire is a thin copper wire coated in a phosphorus which glows when an alternating current is applied to it. 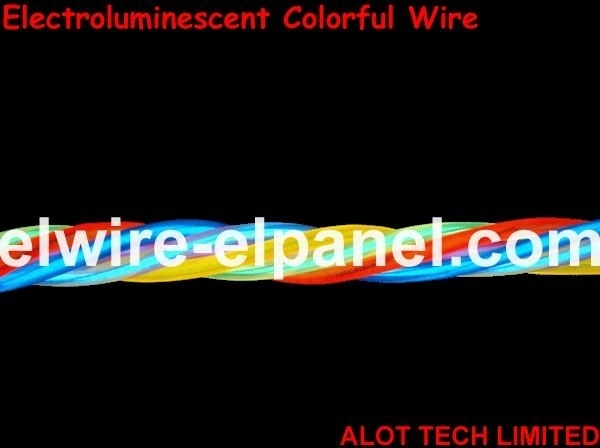 EL wire is a decorative, flexible wire that glows much like neon. 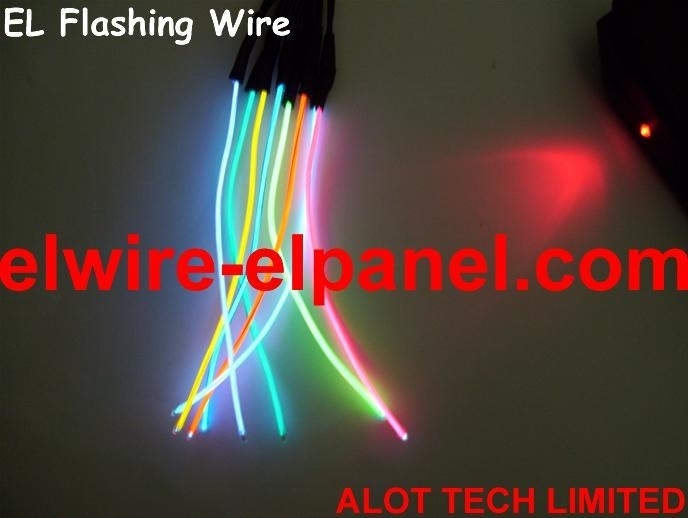 Other names include EL wire, EL fiber, EL cable and glowing wire. 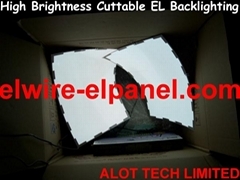 It generates no heat and can be taped or glued to almost any surface. 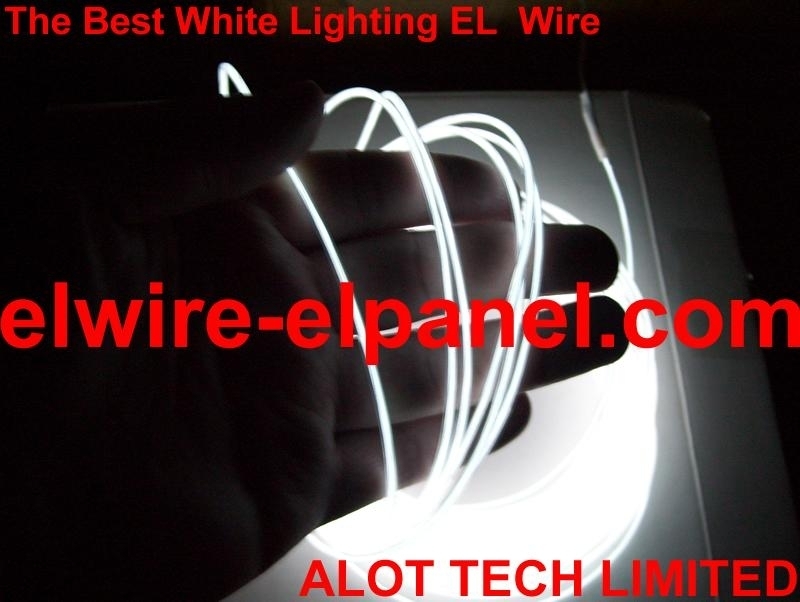 It can be used in a wide variety of applications——vehicle and structure decoration, safety and emergency lighting, toys, clothing etc., much as rope light and Christmas lights are often used. 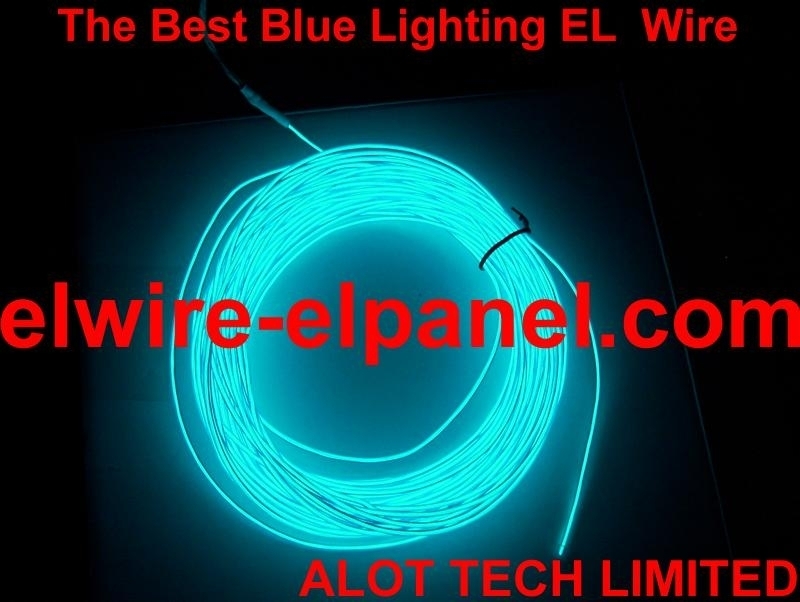 Unlike these types of strand lights, EL wire is not a series of points but produces a 360 degree unbroken line of visible light. 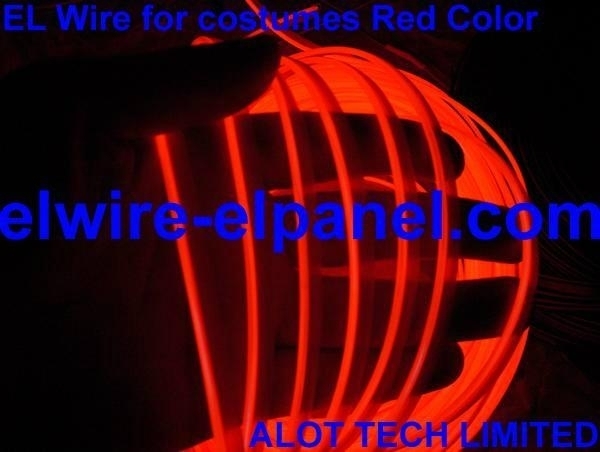 Its thin diameter makes it more flexible and ideal for use in a variety of applications such as clothing and costumes products. 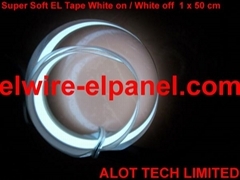 many types of wire use an additional fluorescent organic dye in the clear PVC sleeve to produce the final result. 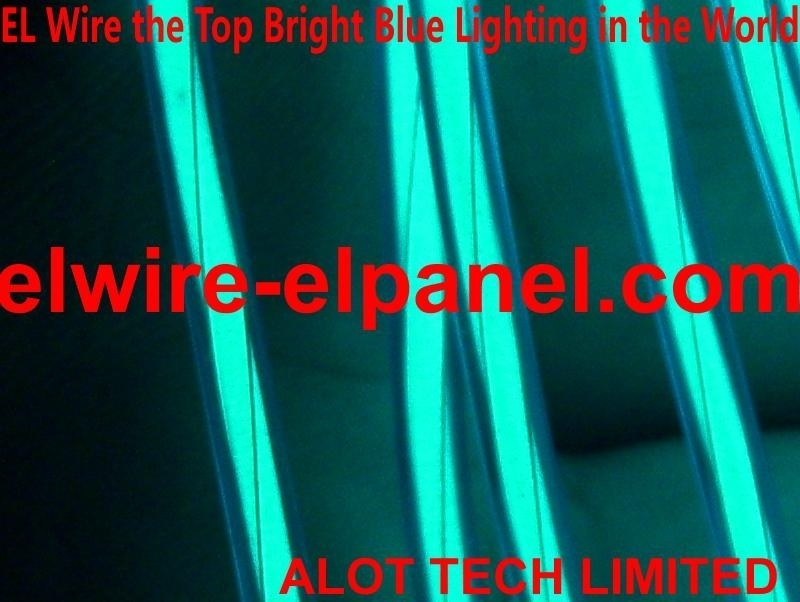 These organic dyes produce colors like red and purple when excited by the blue-green light of the core. 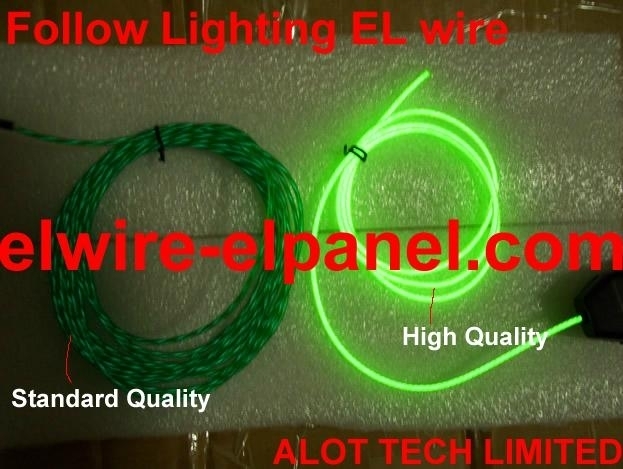 EL wire is copper wire covered with phosphorus then wrapped with two thin transmitter wires, sealed in a plastic skin. 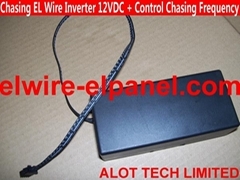 It requires AC and inverters or drivers can be purchased for use with DC. There are many different models of drivers available. 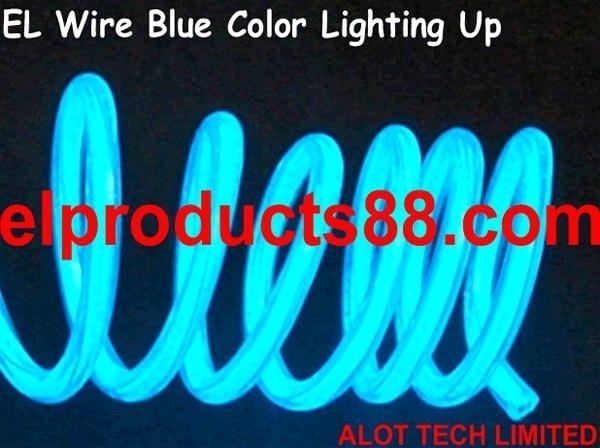 A 3V/4.5V inverter will brightly drive about 0.098 feet (1 to 3 meters) of electroluminescent wire;6V inverter will driver about 0.33 feet ( 1 to 10 meters ); 12V is for car use, small inverter could driver 0.16 feet ( 1 to 5 meters, and big inverter could driver 3.28 feets (1 to 100 meters ); 12V to 240 V ( 12V, 110V, 220V ) inverter, small one will driver 1.64 feets ( 1 to 50 meters ), big and thin one will driver 3.28 feets ( 1 to 100 meters ), and the voltage and frequency could be adjust, too; at present, the biggest inverter will driver 16.40 feets ( 1-500 meters), aluminium box.The longer the wire, the less brightly the length will glow at a given frequency. 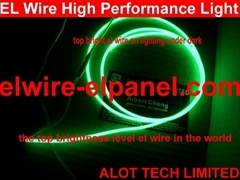 The specs of diameter: 0.6mm, 0.9mm, 1.3mm, 2.3mm, 3.2mm, 4.3mm, 5.0mm. 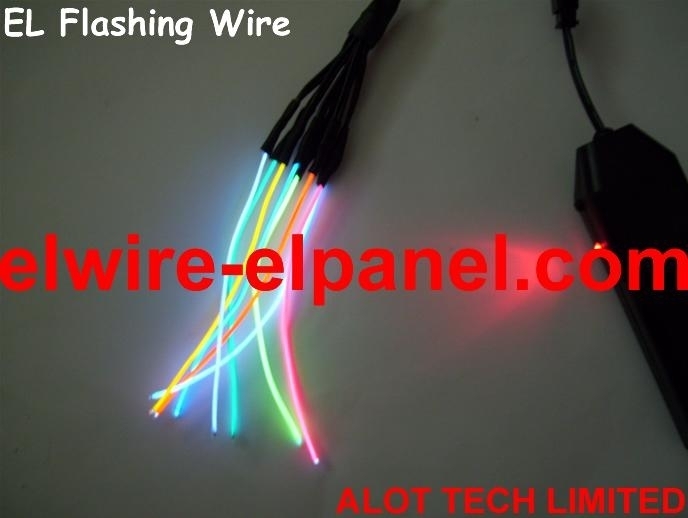 Main lighting color: blue-green, red, green, yellow, lime, blue, orange, purple, pink, white. 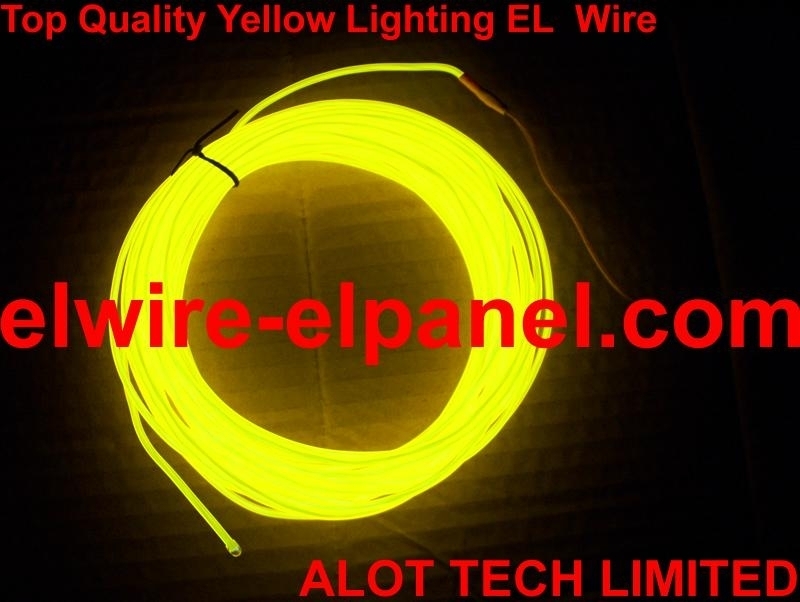 To light up the EL wire could be max 200 meters of one single wire. 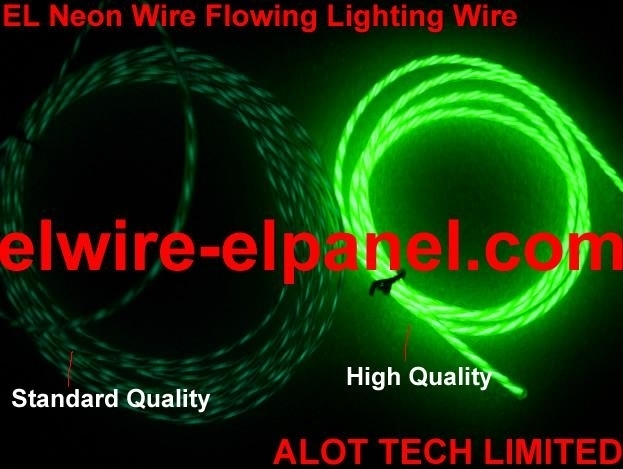 Custom request is welcome to contact us freely, thank you!